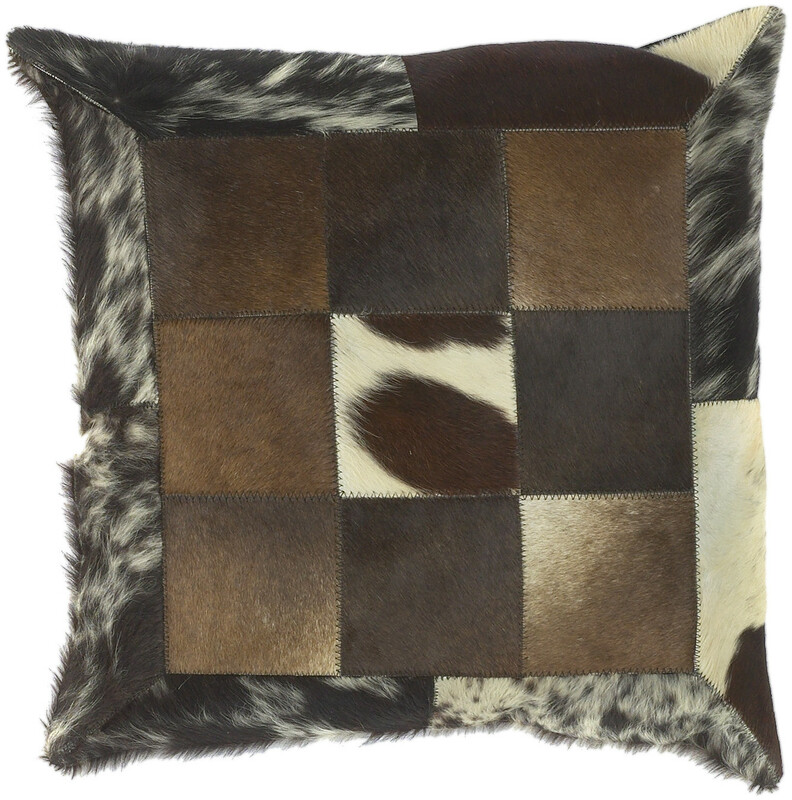 This pillow brings a western feel to any room with its animal hide design. Colors of espresso, brown, ecru, and black accent this decorative pillow. This pillow has a zipper closure. Add this pillow to your collection today.